SINGAPORE - The labour movement is to offer more help to low-wage workers whose companies are unable to pay them, National Trades Union Congress (NTUC) assistant secretary-general Zainal Sapari announced on Wednesday. 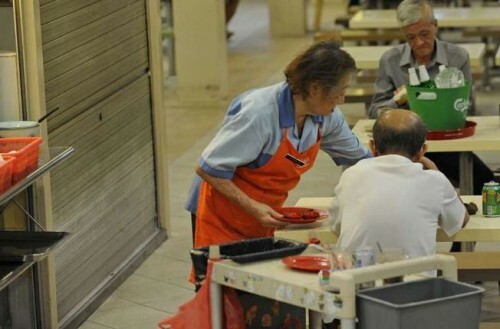 NTUC is in talks with the Manpower Ministry (MOM) to start a salary relief assistance scheme for workers earning $1,900 and below, which will provide a one-off payment to tide them over should their employers go bankrupt. "For some low-wage workers, when their company cannot pay them for whatever reason, they are in dire straits," Mr Zainal told a media briefing at Orchid Country Club. "Hopefully this would help them manage their daily cost of living." The relief will kick in if the worker has not been paid within 30 days after a labour court order. The scheme will be launched by next year, but no further details were given. NTUC also hopes to have adopting National Wages Council recommendations for annual wage increments become part of licensing requirements for companies in the cleaning, security and landscape sectors. At a fund-raising dinner last night, NTUC secretary-general Chan Chun Sing unveiled the amount raised for the NTUC-U Care Fund this year - nearly $11.3 million from 288 donors, including $537,000 donated in memory of founding Prime Minister Lee Kuan Yew. The fund offers financial assistance to low-income members and their families.